We celebrate the 200th anniversary of the publication of Frankenstein with a glorious new exploration of the novel’s impact as seen on the screen. 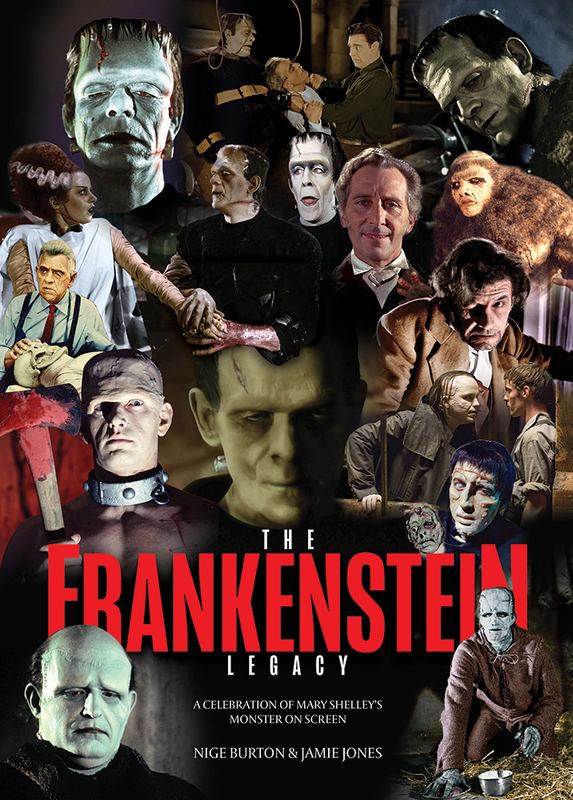 The Frankenstein Legacy follows the book’s evolution into some of cinema and television’s most compelling characters. Two hundred years have passed since Mary Wollstonecraft Shelley unleashed the tale of Victor Frankenstein and his monstrous creation. What started as a holiday storytelling contest with her travelling companions became an enduring, terrifying and truly iconic horror tale whose influence pervades popular culture and continues to inspire fans of the macabre. The Frankenstein Legacy is an opulent full-colour 84-page guide to the shifting identity of the Frankenstein Monster as it has journeyed from the pages of Shelley’s novel to the many screen interpretations we know and love. The pared-back stage adaptations and early movie versions shocked audiences, and it was not long before Universal focused on the story’s horror potential and, in doing so, made Boris Karloff a star with 1931’s Frankenstein. The pages of this Frankenstein movie guide are richly illustrated with beautiful, crystal-clear stills – some rarely seen – from the golden age of classic horror, showing how the look of the Monster transformed our understanding of the character. 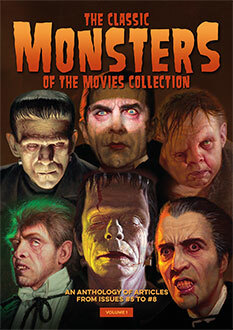 As you explore each section of this lavish publication you’ll see how the movies of Universal shaped the way we see this true classic monster, its presentation in films like Son of Frankenstein (1939) giving it a new and more thuggish persona. Soon after, Hammer motion pictures such as The Curse of Frankenstein (1957) and Frankenstein Created Woman (1967) focused on different elements of the Frankenstein story. However, there is more to Frankenstein than pure terror. Behind the grotesque artificial being and its awful acts of violence we find a story of misplaced ambition, of the responsibilities of creators for their creations, and the shame of the outcast. These themes have echoed down to the diverse renditions of the Frankenstein story that have thrilled audiences for so long, and our Frankenstein movie guide is a beautiful way to discover some of the lesser-known productions that brought Shelley’s complex creature to life in so many different ways. More modern movies like Mary Shelley’s Frankenstein (1994) and Victor Frankenstein (2015) as well as television series such as Penny Dreadful paid differing homage to this eternal classic. No fan of the Frankenstein story – whether on the page, the stage or the screen – should be without this stunning collector’s item limited edition. Just a big thank you for the Frankenstein Legacy book. What a wonderful produced book, great writing, pictures and layout. Well worth the wait. I got my Frankenstein Legacy today!!!!! Good Stuff! I live in the US so I won’t receive my copy for 3 weeks or so. I’m sure it’s gonna be amazing !!! I can’t wait !!!!! Just received my copy of The Frankenstein Legacy. Great magazine, Quality, great pictures and stories. Not arrived yet but I’m sure it will be superb. I will let you know.